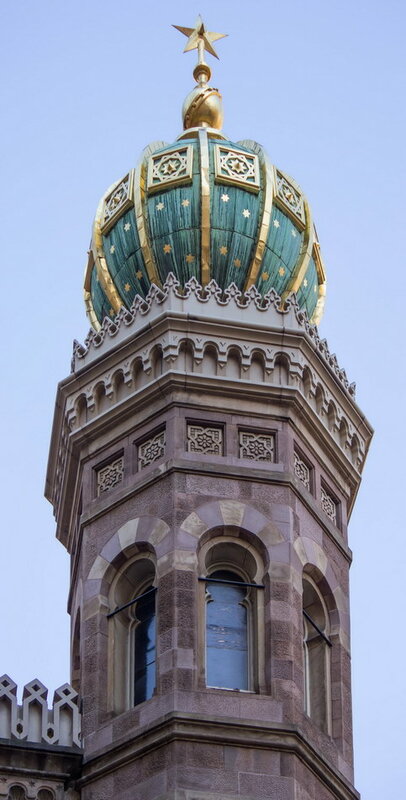 February 23, 2015 Manhattan1872, 652 Lexington Avenue, Henry Fernbach, historic, landmark, midtown, moorish revival, New York City, synagogue. 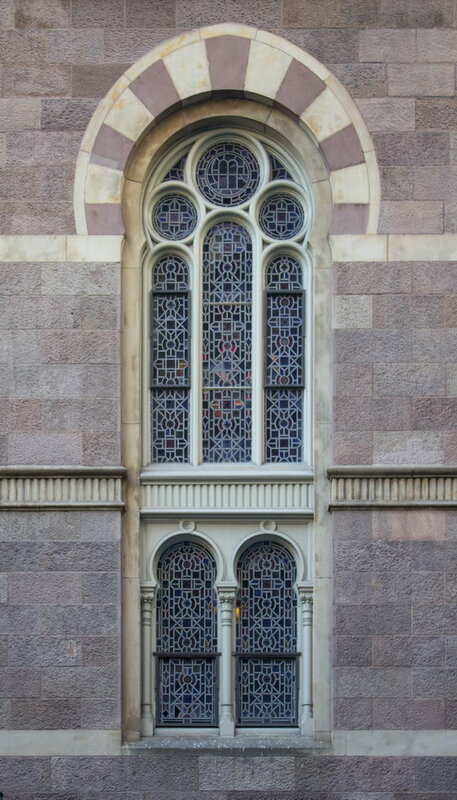 Central Synagogue is, according to the NYC Landmarks Preservation Commission, the finest example of Moorish Revival architecture in New York City. 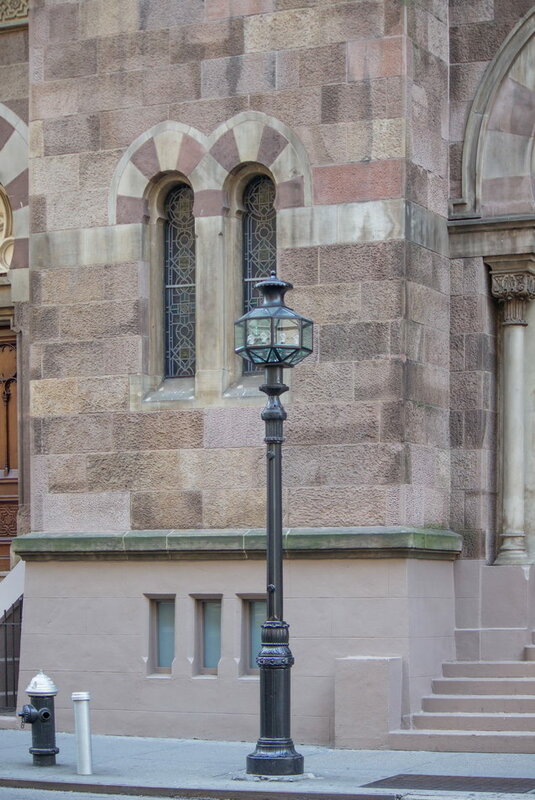 The structure, built in 1872, is also the city’s oldest synagogue in continuous use – despite two disastrous fires. 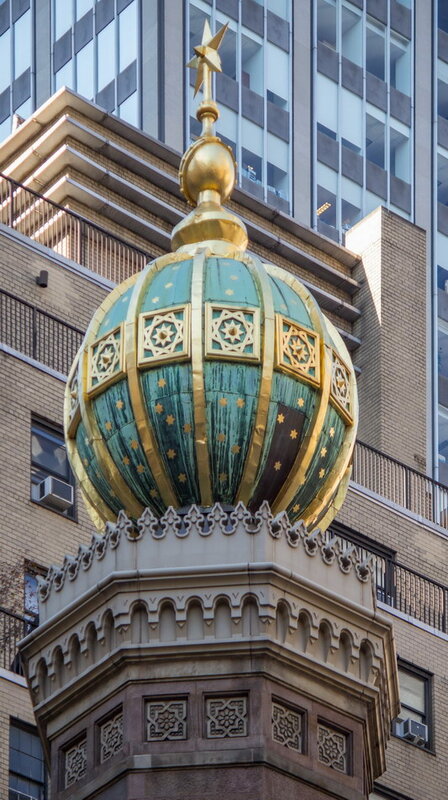 The stunning landmark is on Lexington Avenue at E55th Street; its twin towers with gilded copper onion domes are impossible to miss. 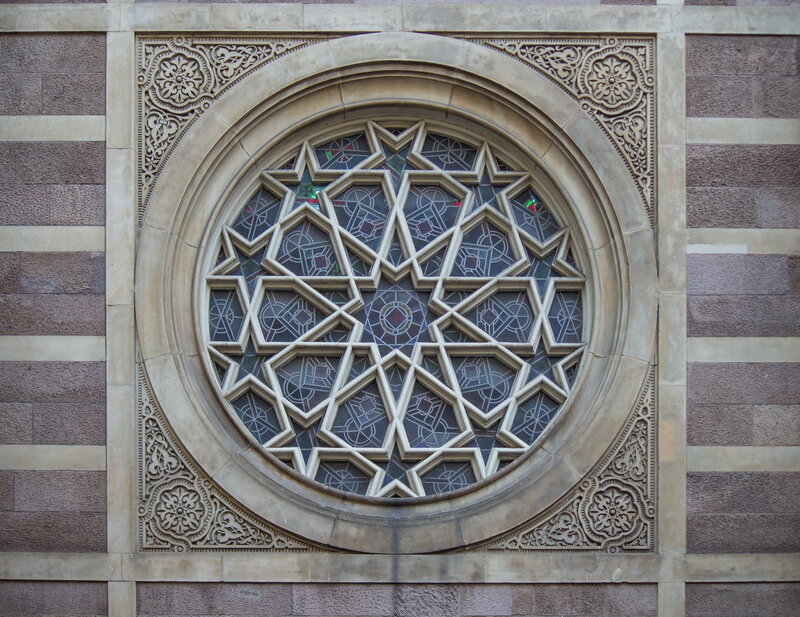 The design, by Henry Fernbach, is a copy of the Dohány Street Synagogue in Budapest. 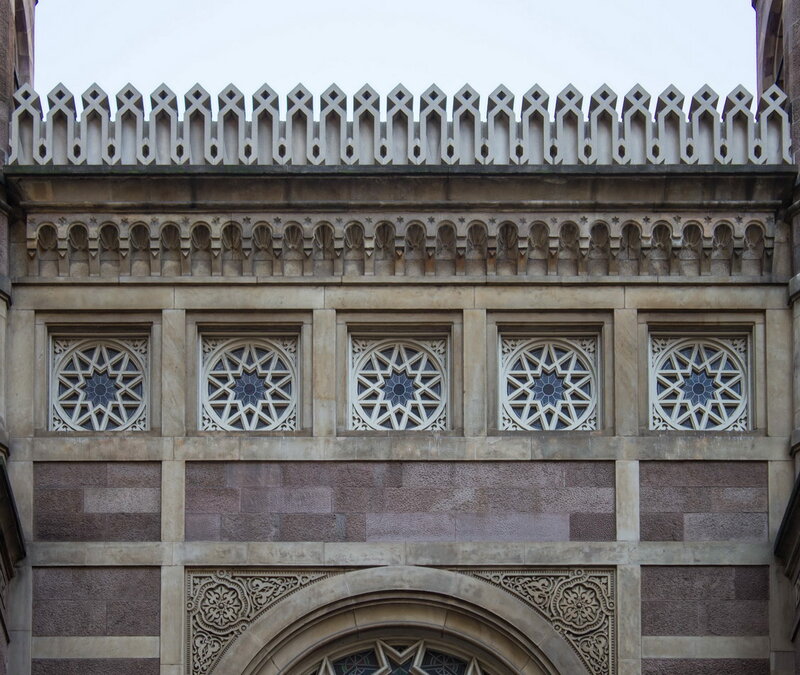 Central Synagogue was damaged by fire in 1886, a mere 14 years after opening, but restored. 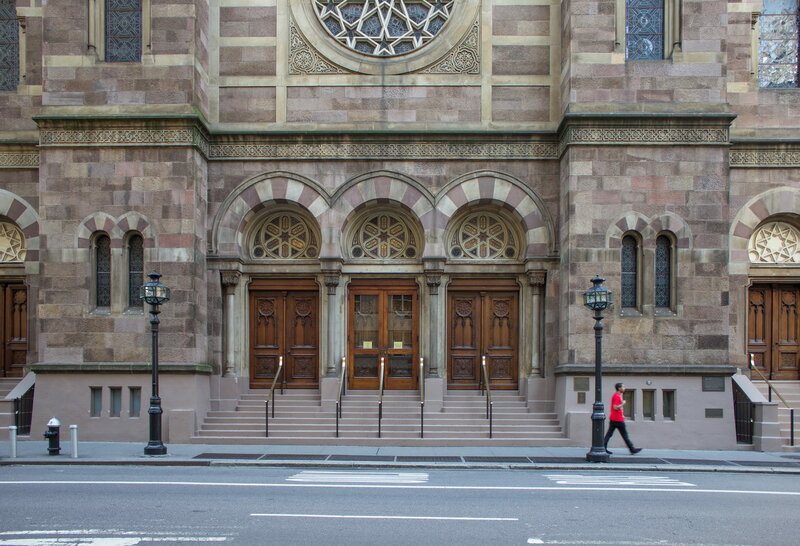 In 1946 the synagogue underwent modernization – architect Ely Jacques Kahn made significant changes to the windows and interior decorations and lighting. 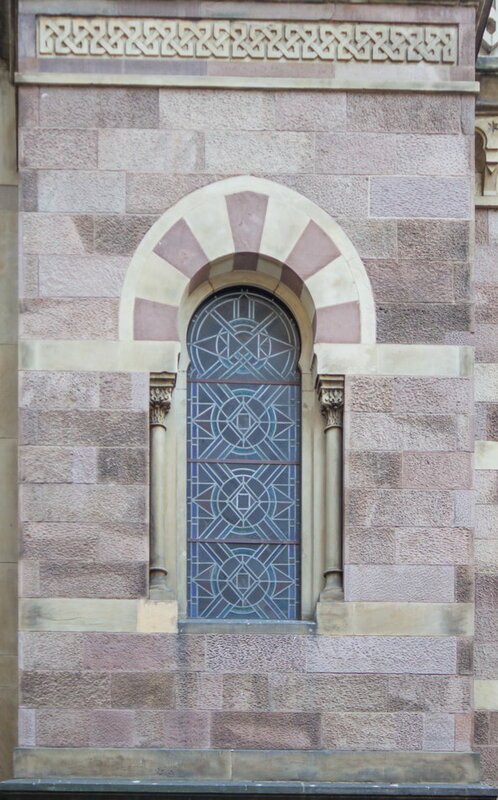 In 1995 the synagogue embarked on a five-year renovation, including the addition of air conditioning. 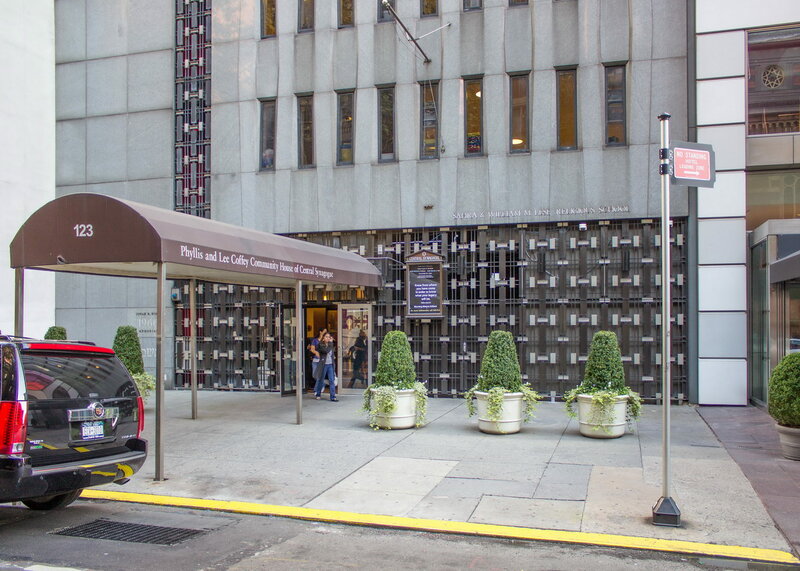 In August 1998, three days before the air conditioning was to be turned on, a fire destroyed most of the building. 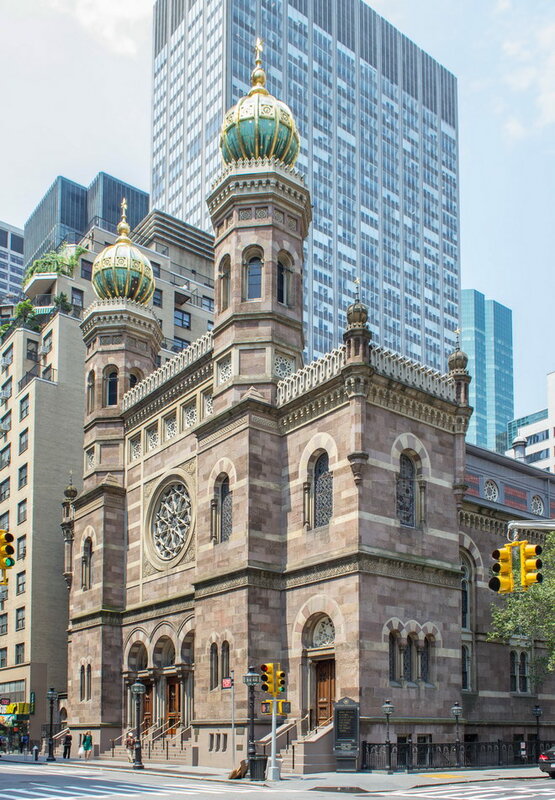 The congregation decided to rebuild Central Synagogue in its original, pre-modernization, design, with Hardy Holzman Pfeiffer the architects.